Gustavus piano professor Yumiko Oshima-Ryan says her passion is to give the kids at Children's Minnesota the gift of beautiful music. 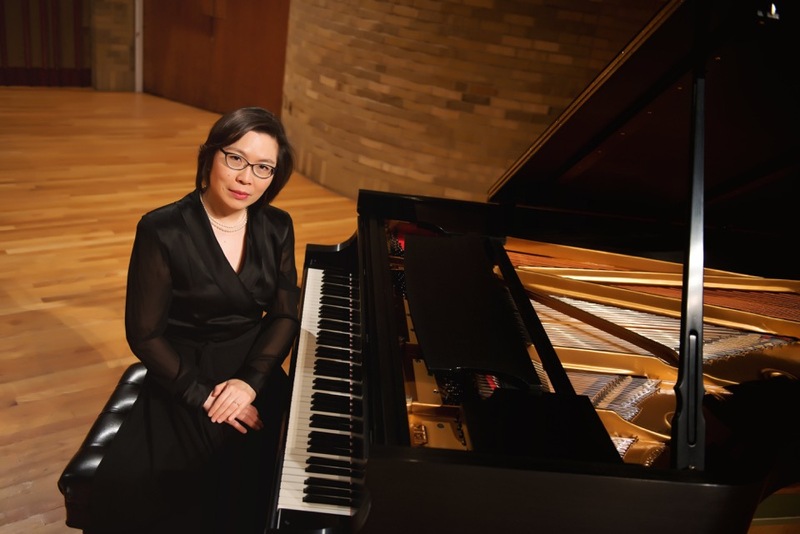 Gustavus Adolphus College music professor and celebrated pianist Yumiko Oshima-Ryan will present a benefit concert for Children’s Minnesota on October 7 at Sundin Hall on the campus of Hamline University. The 2 p.m. performance features solo works by Oshima-Ryan as well as a performance by the Gustavus Symphony Orchestra and Gustavus dancers. Following the performance will be a chance for kids to participate in an “instrument petting zoo” to learn more about the orchestra. Proceeds from the concert will support the Star Studio program at Children’s Minnesota, which provides 24-hour creative television programming for children and families in the hospital. The Gustavus “Star Studio Symphony” performance will be broadcasted live back to the hospital as a special musical event. All funds raised will help Star Studio bring in musical guests through improved musical instruments and audio equipment. Giving kids the gift of something beautiful is what Oshima-Ryan was hoping for when she developed the idea for the performance. As a pianist, she has performed several times on one of the Star Studio programs, and when she received a grant from the Minnesota State Arts Board, she was thrilled to be able to include this performance as part of her project. “It’s a dream come true to use my role as a musician to do something for Children’s Minnesota,” she says. “I want to present a very high-quality musical experience for the kids. Even if they don’t know what [classical music] is, they will know it is beautiful and never forget it.” The program includes several solo piano works, including Wolfgang Amadeus Mozart’s Rondo in D major for Piano and Orchestra and George Bizet’s Carmen Suite No. 1. Star Studio has live studios at Children’s Minnesota’s Minneapolis and St. Paul campuses where kids can attend one of a dozen live shows in person each week. For kids who cannot make it in person, they can watch from their rooms and call in to the programs to participate. Tickets for the performance are free and can be ordered online at the Star Studio Symphony Benefit Concert website or at the door. There is a suggested donation of $15 per adult and $7 per child, but any and all contributions are appreciated.